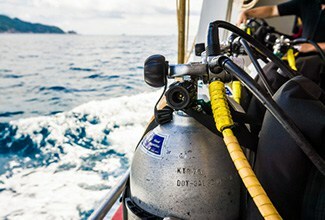 We have huge selection of gear for you and your dive team. 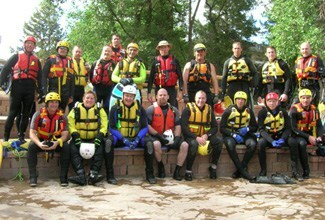 Dive Rescue International’s renowned three day training program. Teams save on travel, lodging and tuition when hosting a class. Replacement XSScuba Rubber "Old School" Fin Strap 1" x 17"
“Mr. Wilson was an excellent instructor and is well qualified as he applies his methods of instruction to practical applications. I would highly recommend this training, I learned many skills I can apply in real-life incidents. Steve is an excellent trainer, he knows his stuff and it shows. 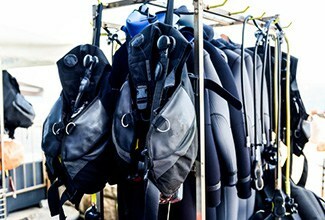 Did you know any Aqua Lung PS Drysuit can be built with either attached boots or dry socks? The Hazmat, Enviro, and Enviro Hybrid come standard with Comfort boots, but you can opt to have dry socks attached instead at no additional fee. The Kodiak 360 and SAR M.O.S.S. come standard with attached dry socks, but for an additional charge you can have them built with Comfort boots. The Comfort boot means no need to spend money on uncomfortable undergarment booties; the 7 mm lined boot is enough thermal protection for almost all diving. If you opt for the attached dry sock, the EVO 4 boots work great with them. At Aqua Lung, this is the one place where size doesn’t matter. We will build your suit to accommodate any foot from size 6 to 15 at no extra cost. The ARC Explorer Mk II is the newest generation of Marine Sonic’s towed side scan sonar designed for search, survey, and recovery applications.